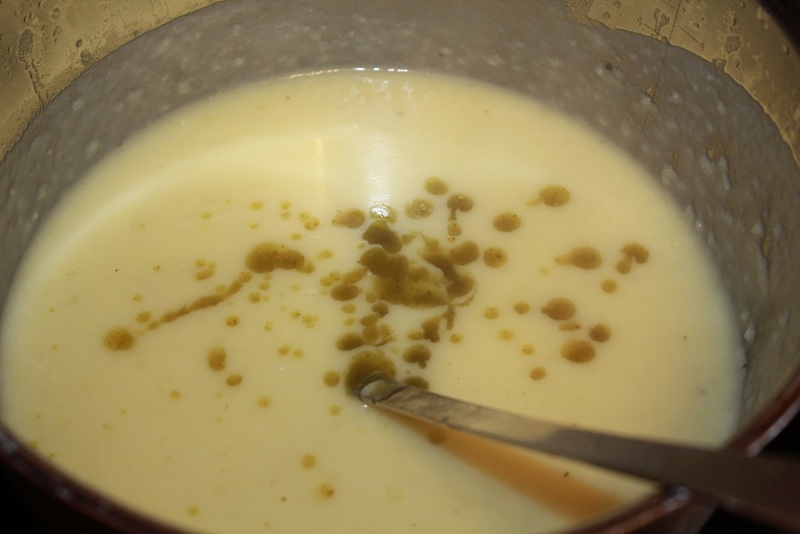 I love smooth potato soup and it’s the perfect time of year to be focused on soups, not only because it’s cold and miserable outside but also because soup is quite filling and so long as you’re not making cream based soups they tend to be very low in fat. 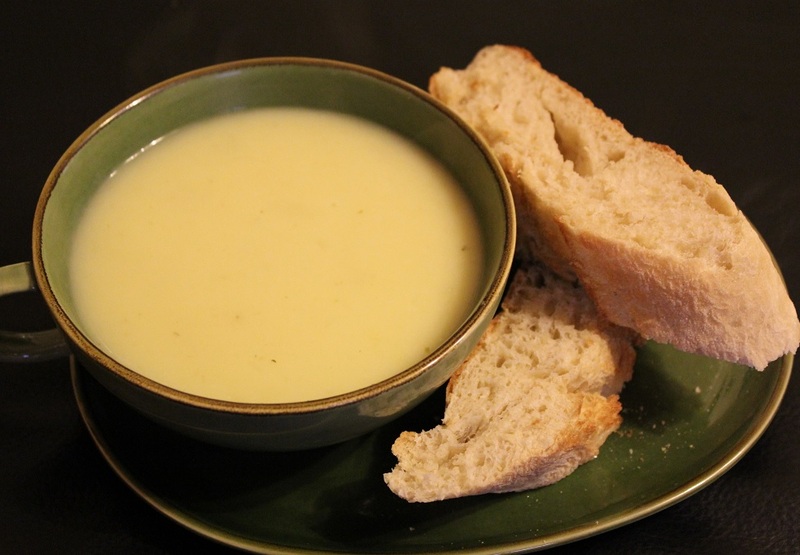 I got the idea for this soup based on some garlic bread that my mother in law made once. She topped the garlic bread slices with Green Jalapeno Tabasco and grated cheddar. Not being a Tabasco fan I was fairly apprehensive to try it however, the Green Jalapeno Tabasco had just the right balance of spice and pepper flavor for me and I really enjoyed it. So for my experiment I substituted the garlic bread part for some potatoes and onions and turned the whole thing into a very flavorful mildly spicy wholesome soup which worked out surprisingly well in both texture and flavor. Below I have shared my extremely simple recipe. 1. 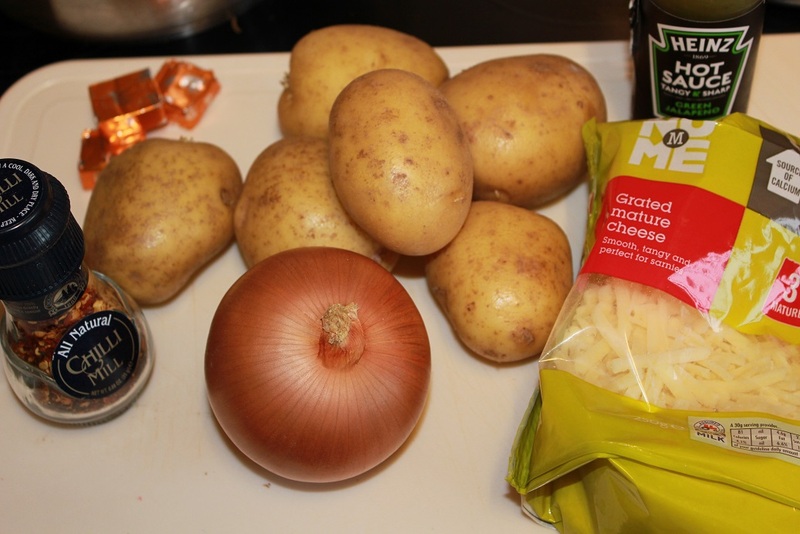 Peel the potatoes and chop the onions and toss them all in your soup pot. 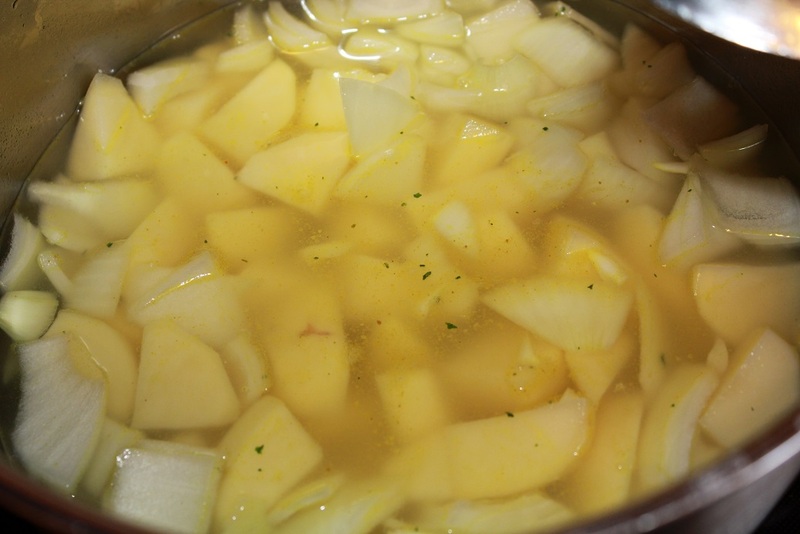 Add in two stock cubes, then pour in just enough water to cover the top of the veggies. 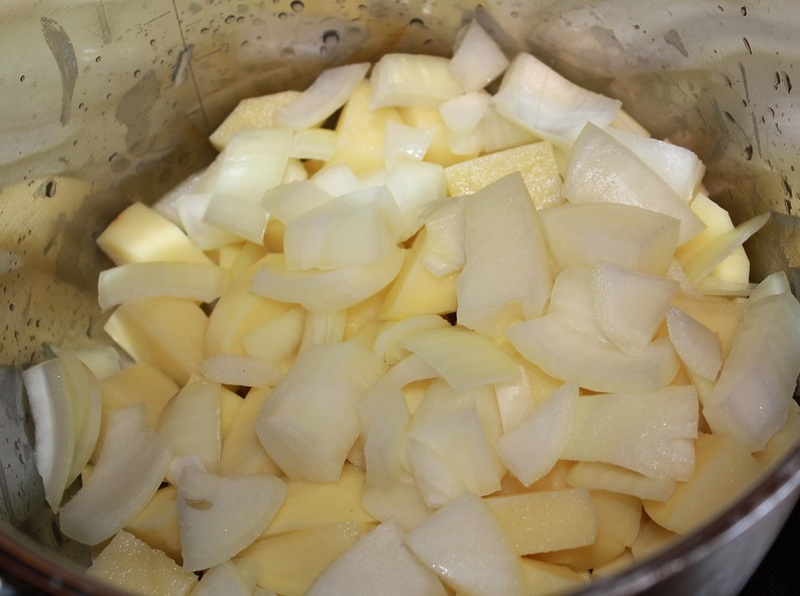 Boil until the potatoes are tender and the onions are transluscent. Add in more boiling water as it’s cooking to compensate for what has boiled away. Blend everything together, preferably with a stick blender until it is smooth. If it’s too thick just add in a bit more water. Then stir in the cheese until it’s melted and add in the jalapeno tabasco or hot sauce a bit at a time tasting after each addition until you’re happy with the flavor balance. I added about 2 tablespoons of the hot sauce into mine. Mix it all together and serve. I made about 6 servings of soup and each serving had roughly 5 grams of fat based on the cheese I used.